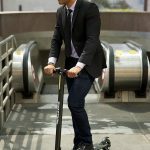 The Swagger High Speed Adult Electric Scooter is a popular scooter with a mixed bag of reviews and complaints. With a range of 4 to 15 miles, it’s not the most dependable machine on the market. It has a top speed of 15 miles per hour and can easily be folded down for storage. 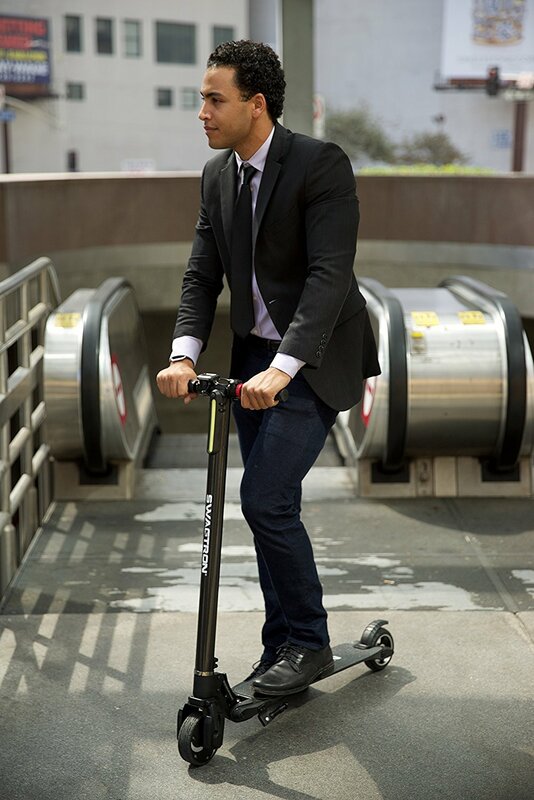 While it is fun to ride, the Swagger breaks easily and is somewhat flimsy. Additionally, Swagtron, the manufacturer, is not entirely helpful when something breaks down. A fun option, but maybe with less swag than hoped. EXTREMELY FAST – A 250-watt motor propels the e-scooter to a max speed of 15 MPH for a range of 4 to 15 miles. 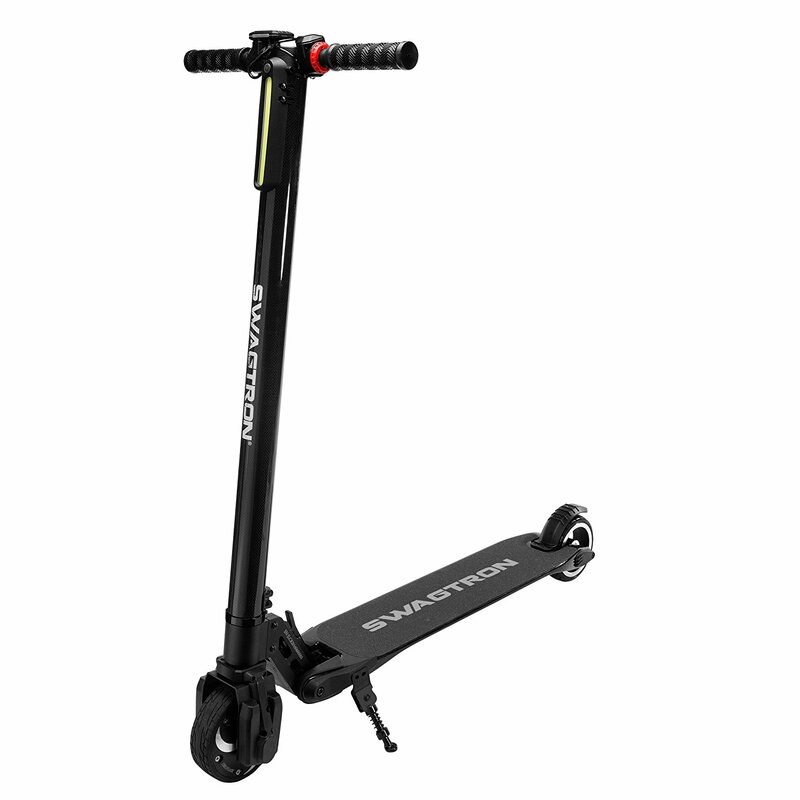 STORES EASILY – The Swagger scooter folds down in a few simple clicks for easy transportation and storage when not in use. 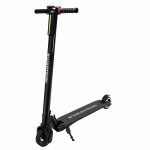 EASILY CHECK BATTERY LIFE – The control panel allows you to view your motor scooters speed and battery life. ECO-FRIENDLY – The eco-friendly Swagger is 100% electric and produces zero emissions, saving your wallet and the environment. I thought this would be a great solution to my commute, but it broke less than two weeks after I bought it. I found a solution with duct tape, but honestly expected more for my money. The real life range falls far short of what the Swagtron claims. To be fair, this is probably true with most scooters, but I was definitely disappointed. 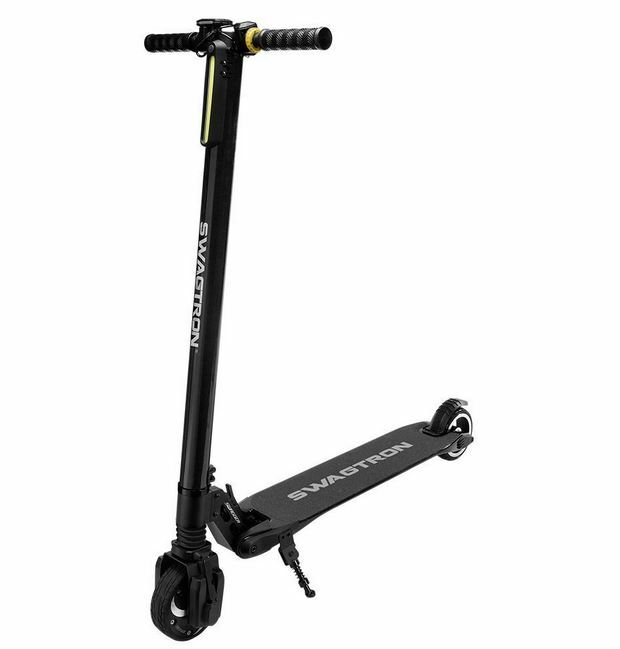 Otherwise, it’s a pretty decent scooter for the price. If you’re looking for something to use for a short commute, it will get the job done. But if you have further needs, I’d suggest saving up for something nicer.